The support we offer heart families is only possible due to the generosity of our donors, fundraisers and volunteers. As a local charity, we receive no external funding and therefore every penny counts. 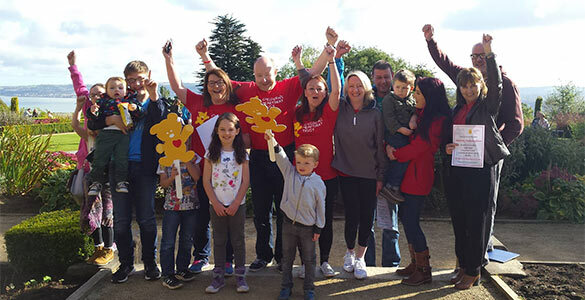 You, our supporters, make the difference to what services and support we can provide to children and young people with heart disease and their families in Northern Ireland. With no government funding we are indebted to everyone who supports us through various fundraising activities. 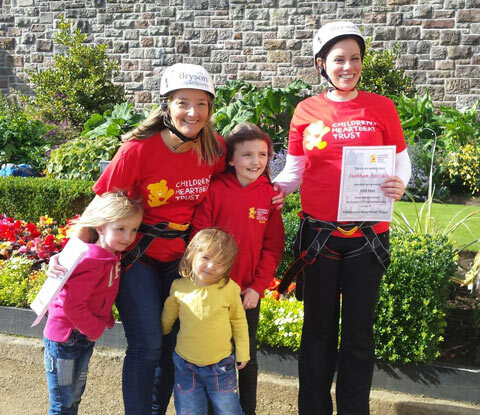 From runs to abseils, payroll giving to corporate support, there are lots of ways you can fundraise for Children’s Heartbeat Trust. We have plenty of suggestions below if you are looking for some fundraising inspiration. Additionally, a dedicated fundraiser can assist you to make sure your fundraising is a great success. A dedicated fundraiser can be helpful in many ways, just give us a shout and we will assist you as best we can. CHT are so supportive and friendly and always willing to help in any way. They are actively involved in so much fundraising and were brilliant at campaigning for an All Ireland Heart Service. The CHT team go above and beyond for their families. They know us, each of us and our stories. I can’t imagine how our journey would’ve been without them. We could not have got through our son’s diagnosis and hospital stay without their support and the offer of accommodation. The access to family support groups gave me great hope about the future of my child. You always know that they are only a call away. 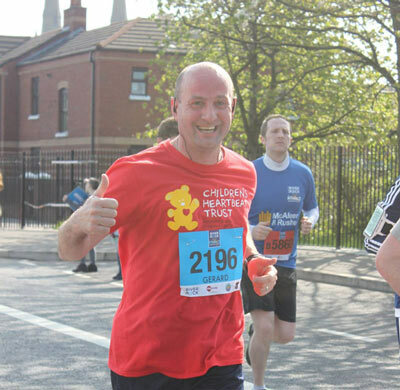 Fundraise for us by taking part in one of our annual events. Support us through your employment. Got your own fundraising idea? We can support you. Don’t fancy organising your own event, then why not support a local fundraiser in your area? Supporting Children’s Heartbeat Trust at your special occasion is an extremely rewarding and thoughtful way to support our work. Leaving a gift in your will or in memory of a loved one, no matter how big or small can make a real difference to our future and the children we support. You can make a donation from your salary before tax. If your employer, company or personal pension provider runs a Payroll Giving scheme. could support ten families who have to travel outside of Northern Ireland for their child’s open heart surgery.